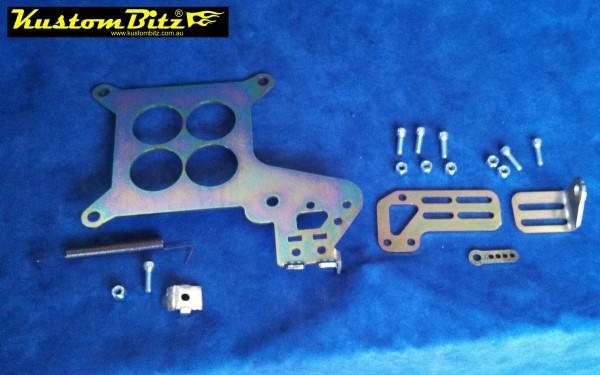 Part# KB-MSP-30-KDWN-PLT-BK : Kick down cable bracket kit for the carburettor end automatic tansmissions. 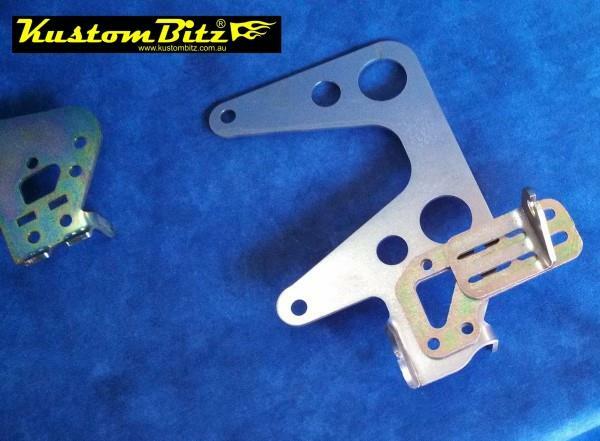 Comes with the two brackets as shown with bolts and nuts. 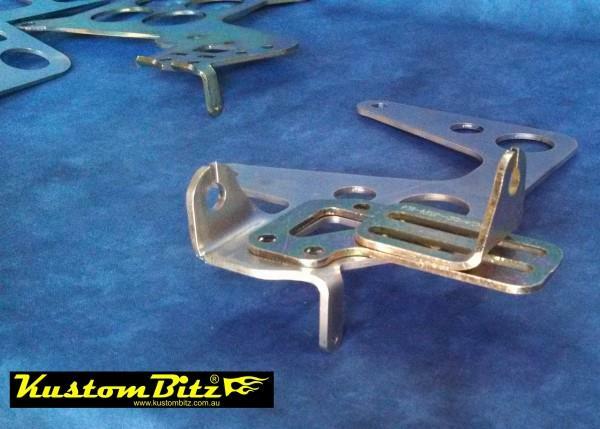 Specifically design to bolt to all and any of our Kustom Bitz carby throttle cable brackets, it is adjustable with 25mm to 80mm of slide adjustment. 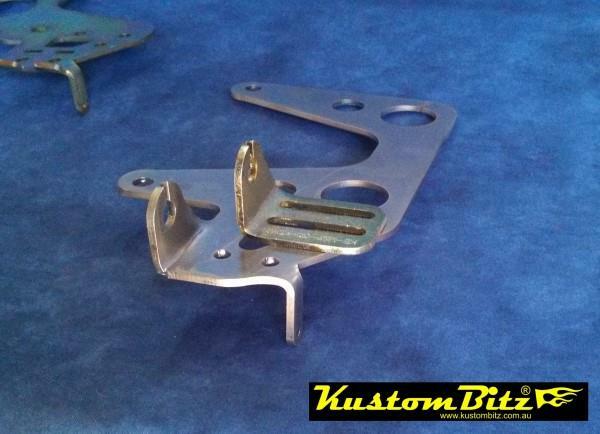 Use one bracket or both brackets to get the kick down cable working as needed. Designed as a universal bracket for Lokar type kick down cables you may or may not need to adapt your OEM style kick down cable to suit. 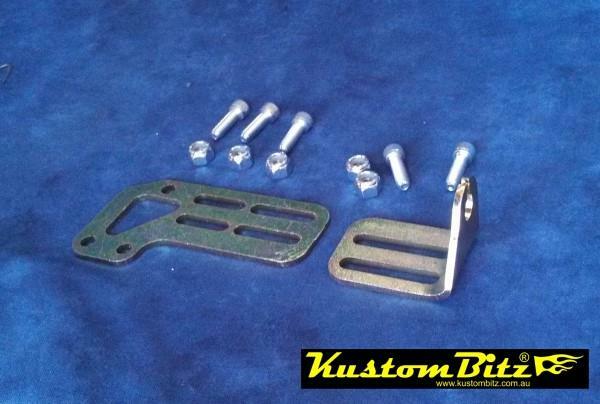 They will also bolt directly to our Tunnel Ram linkage kits. 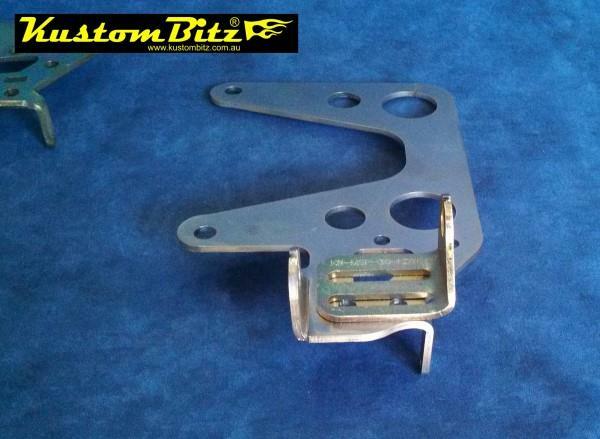 Throttle Accelerator kick down kit has many applications including being able to modify any of our carb throttle cable brackets to suit custom applications, for example boat throttle cables or other OEM cable applications that we have not come across yet. 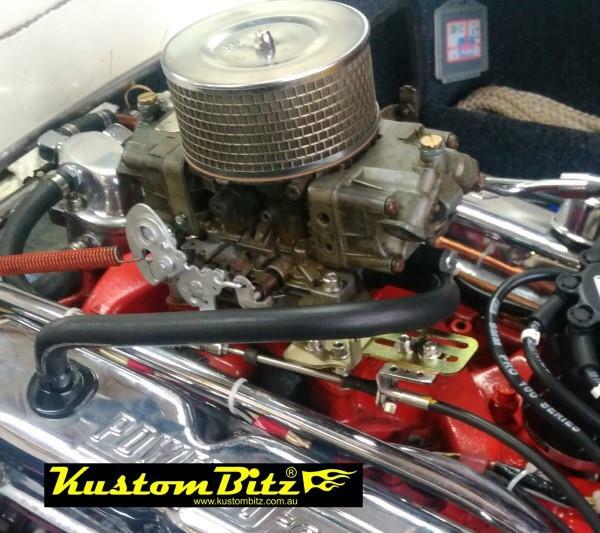 In those instances you may need to cut off the cable loop off the carb bracket and then use this kick down kit as the accelerator cable connection providing for plenty of adjustment. 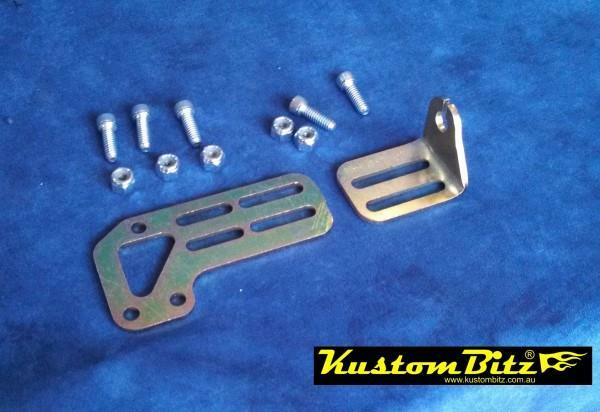 Carby Throttle Cable brackets are ordered sparately.